Batman may be one of the most iconic superheroes of all time because he transcends generations by appealing to the side of a person who thirsts for justice by any means necessary. Whether by comic, movie or videogame, Batman draws an enormous fan base to any medium he is involved in and that is due to as much to the story as the allure of what he represents. Videogame enthusiasts have thoroughly enjoyed Rocksteady’s action packed version of the Bat, but now Telltale Games has dipped their hands into the hero of Gotham. 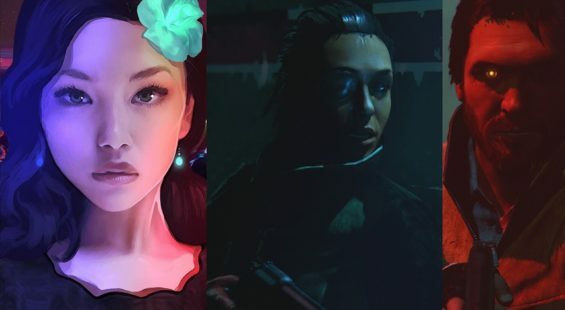 Seems like a match made in heaven with their track record of making story driven games that have enthralled gamers for years, but is it too good to be true? While this is no origin story, it does begin fairly early in scheme of the Batman timeline as you interact with Harvey Dent prior to his Two Face transformation. You’ll run into other characters, like the Cat woman (AKA Selina Kyle) and Vicki Vale, during the 1st episode that are key players in the Batman Saga. 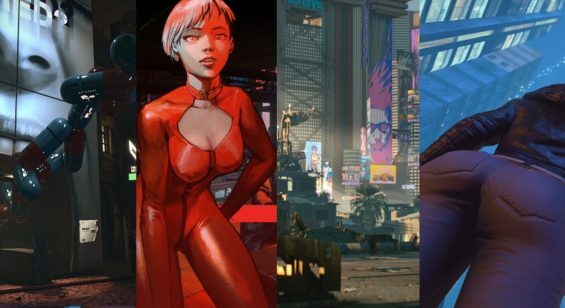 Even though character adaptation is rooted in the comic, Telltale Games puts their own spin on the story making it their own and unlike anything we’ve read in the comics, saw on the movie screen, or played on a console. It’s hard to get into the plot without ruining some of the surprises that happen along the way, but to paint a broad picture you’ll be spending more than 50% of your time as Bruce Wayne making decisions that impact his relationships and adds new twists to the story down the road (I’m sure of it). Wayne is assisting Dent to become the next mayor of Gotham because he is one of the few incorruptible people left in city, but along the way you run into one of his questionable benefactors. This sponsor is none other than Carmine Falcone, Gotham’s #1 organized crime boss who seems to have his hand in every pot throughout the city. Questions begin to arise about the Wayne name and their possible connections to the mob as well as how they exactly made their fortunes. A childhood friend of Bruce also pops up after years of no contact and he knows this is somehow connected to the controversy swirling around him. I have my hunches who this friend may really be, but I’ll leave you hanging just like Telltale did me. On the flip side of the coin you’ll operate as Batman taking down the thugs and underbelly of Gotham. Action sequences are purely quick-time events and if hit correctly allow Batman to use a brutal finisher to top off the combat. Conflicts aren’t as plentiful as you’d find in the Arkham series, but do help break up the narrative and give the player the total Batman package. There is a very noir aura around the entire game, but more so when you are the Batman. Some sequences have you searching the scene of the crime to piece together exactly what happened. You’ll find clues that you must link to one another to get the whole picture before proceeding so it isn’t just a cut and dry scenario. 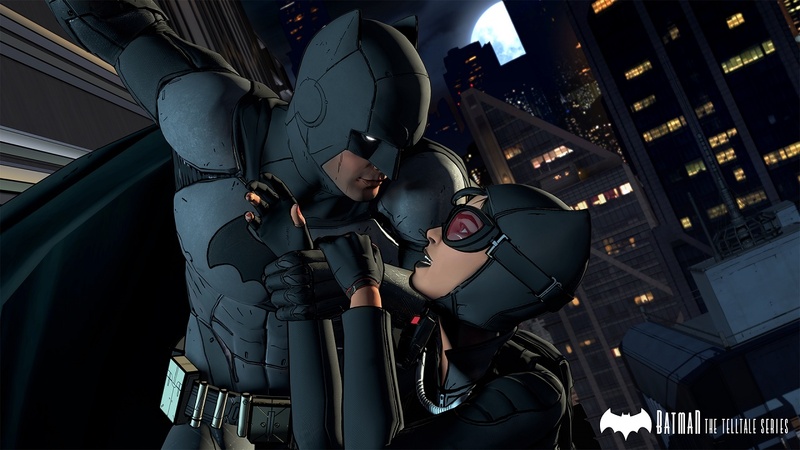 Telltale also gives you the freedom to be as ruthless or passive as you want when interrogating the bad guys, for me personally I love the anti-hero Batman who rides the line of right and wrong so when a beat down is due I’m writing the check. Voice acting is superb throughout the whole game and really helps keep the player tuned in during the narrative heavy sections of the game. At times these conversations driven portions seem to drag, but for the most part the story driven tale plays out perfectly adding intrigue and interjecting a certain attitude per player discretion. Music assists with the narrative by setting the mood and atmosphere of the situation to deliver a package that engrosses the player. Visuals tie it all together with a stark graphic novel appeal that utilizes harsh lines and dark undertones to keep the game in a certain mood. 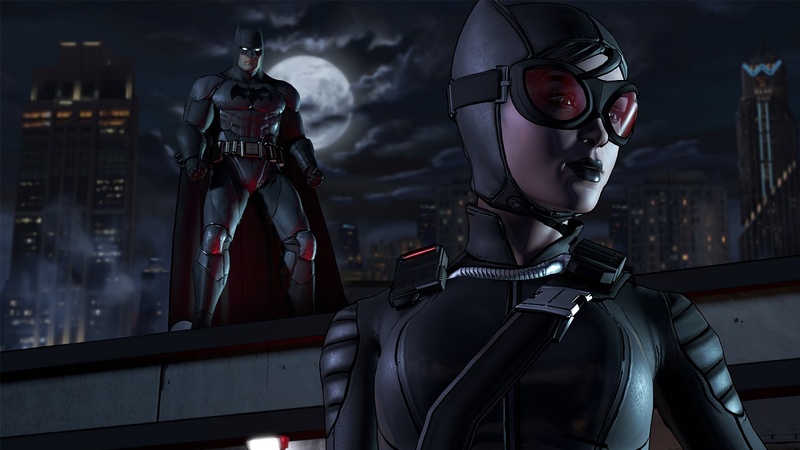 Overall, Batman: The Telltale series episode 1: Realm of Shadows does a wonderful job positioning itself to become a tale any Batman fan would want to dive into. Spinning the adventure with equal parts of action and plot twists is a perfect balance to the duality of Batman and Bruce Wayne. 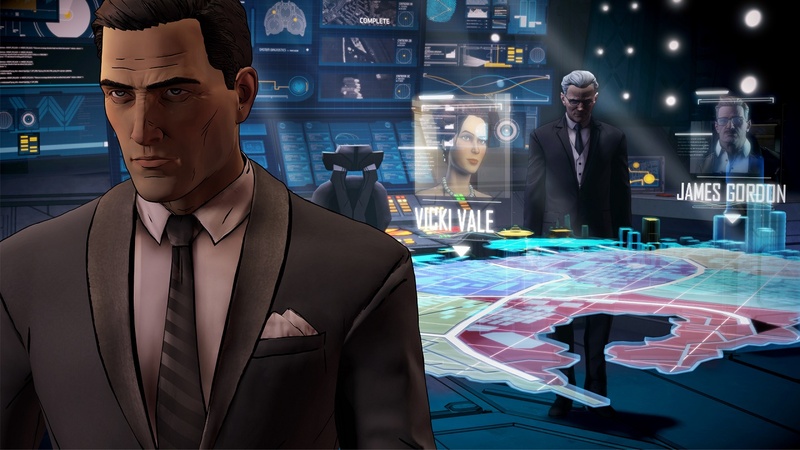 Telltale’s tried and true formula doesn’t vary much from game to game, but the premise seems so different due to the atmosphere they create through the story and what the player hears and sees during their experience. 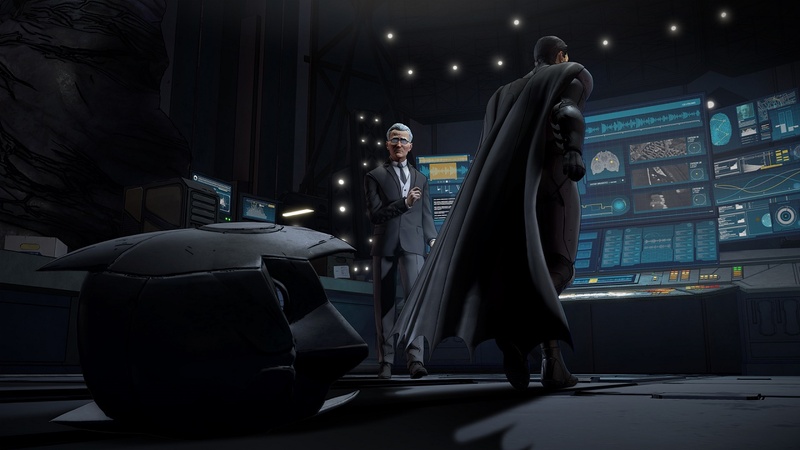 Each player can create their own version of Batman through the choices presented to them and have a continuity throughout all future episodes. Any Batman fan won’t be disappointed with the outcome, except for the fact they have to wait for the next episode and dread the words……To Be Continued.